I first knew La Bri in the early 1980s when Michael Trull started a major restoration plan on the beautiful homestead and began replanting and upgrading the vineyards. 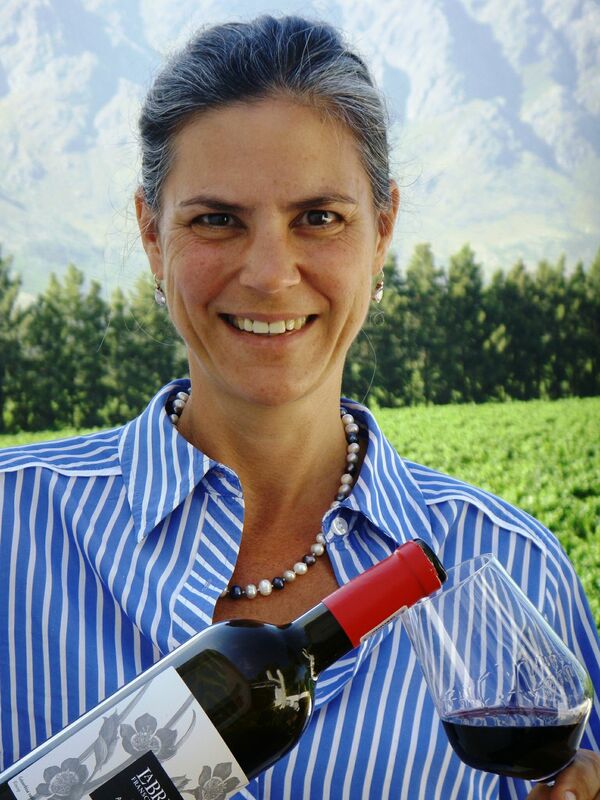 He was also a founding member of The Vignerons de Franschhoek and Irene Waller is the current chairperson. La Bri has an interesting history. The original grant of the land was one of the first nine grants made by The Dutch East India Company to the early trickle of French Huguenots in the 1680s and 90s. During the governorship of Simon van der Stel, he settled the Huguenots in amongst the Dutch farmers and within a short while few of them still spoke French. The name La Bri is derived from abri an old French word for shelter or refuge. And what a refuge it must have been for them surrounded by the Franschhoek Mountain massif. 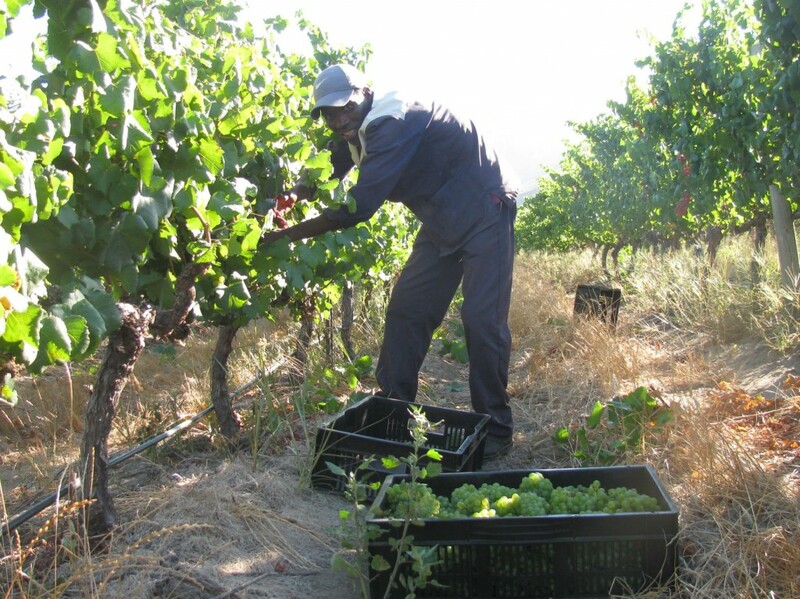 Jacques de Villiers settled on La Bri in 1694 and received title to the farm in 1712. Jacques was so excellent a farmer he eventually bought Boschendal. Over time the original farm was divided into three and it is thought that the original dwelling was built in the middle of the 18th century. A hundred years later, in 1862, the enchanting manor house which now stands on La Bri with its simple triangular gable, typical of the later less flamboyant styles of the classic Cape Dutch architecture, was built. La Bri passed through a number of owners and the first major changes of the modern era came when pioneering owner Michael Trull started a new tradition by having his grapes separately vinified at the local Co-operative Winery. When current owner Robin Hamilton bought La Bri in 1997, wines were still made at the local Co-op. With the appointment of Jocelyn Wilson as winemaker in 2006 the next obvious step was a winery to allow the La Bri team to have full control of the winemaking process. 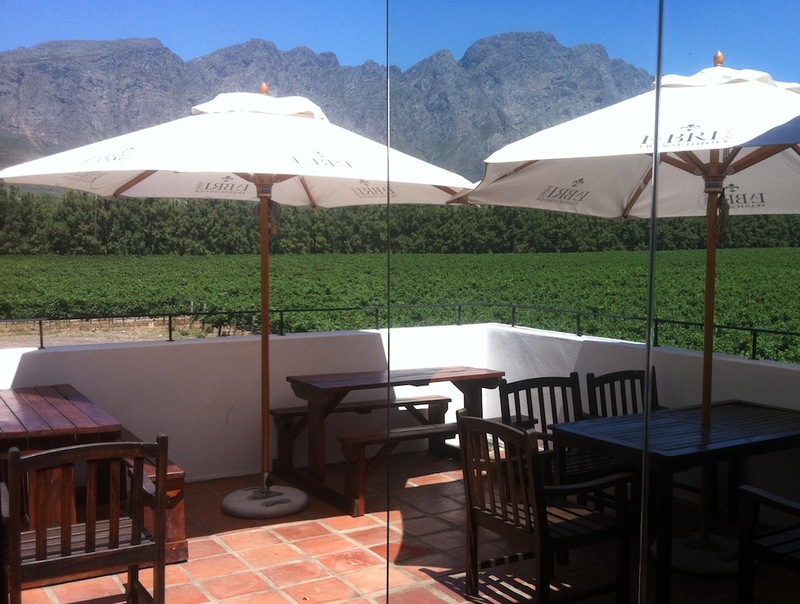 The Estate boasts just over 15 hectares of vineyards that grow in diverse soil types. Some are sandy loam with a firm clay base, while others are deep, rich alluvial soils. Being a registered Estate all the grapes harvested on the farm are crushed in the Estate’s cellar, and the wine is made and bottled there. The La Bri MCC, currently maturing in the bottle and due for release later this year is made from Chardonnay grapes bought in from a nearby Franschhoek farm. The red grapes planted are Merlot, Petit Verdot, Cabernet Franc, Cabernet Sauvignon and Shiraz. The white grapes are Viognier and Chardonnay. Apart from the continual renewal of the vineyards where attention is paid to the correct utilisation of soils, there are the annual vineyard events to which viticulturist Gerard Olivier and his teampay attention. These include correct pruning in late winter, managing the canopies, suckering during the growth phases where necessary and trellis extensions. Irrigation in drip format is used in summer when necessary. 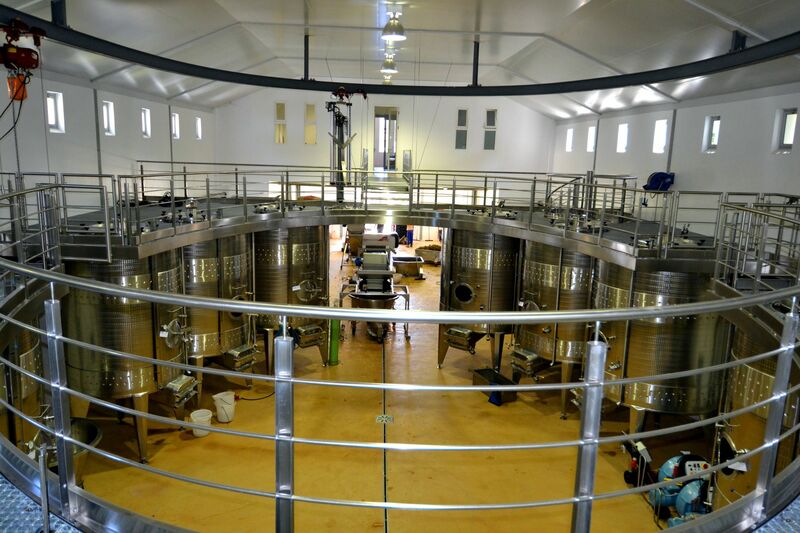 The cradle of the modern La Bri Wines is the modern 120-ton cellar on the Estate, with its unique circular design and gravity-fed processes. Here in the vintage of 2008, focused shifted to producing limited volumes of superior quality wine that embody all that is unique about both La Bri’s vineyards and it’s terrain. General Manager and Winemaker Irene Waller, who was originally a maths and accounting teacher, gave it all up to follow her wine dream. After gaining experience in France and Australia, Irene returned to South Africa and studied winemaking at Stellenbosch University. On graduating she was appointed as winemaker at the Graham Beck Winery in Robertson where she remained for 6 years. Since coming to La Bri in 2010 Irene’s focus in the cellar is to produce elegant La Bri wines that consumers want to drink and enjoy. All grapes are handpicked and stored overnight in a cold room, to protect and preserve fruit freshness. Where possible, the grapes and wine are moved by gravity, to minimise the use of pumps. The white wine grapes are whole bunch pressed. The red wine grapes are sorted, first as bunches and then as berries, before being transferred to the fermentation tanks via a satellite tank. For the reds Irene and her team use a pneumatic punch-down system that allows for maximum extraction of colour and for constant skin contact with the fermenting juice. Automated temperature controls on tanks ensure ideal fermentation temperatures. Individually programmed pressing cycles ensure optimum juice recovery, of both quality and quantity. 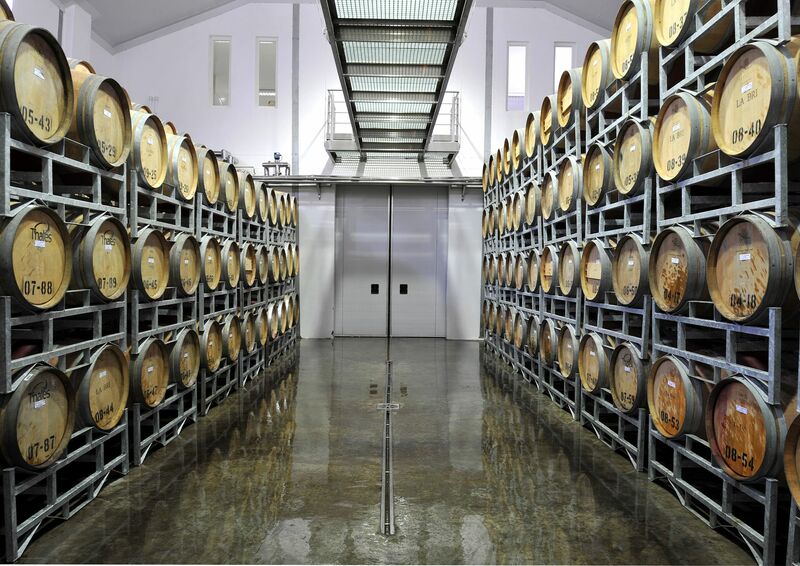 The oak regime in the cellar is one of supporting the wine and often previous fill barrels are used to mature wines allowing the fruit to sing. Wines all have cork closures from Amorim Cork, one of the leading wine cork makers in Portugal. 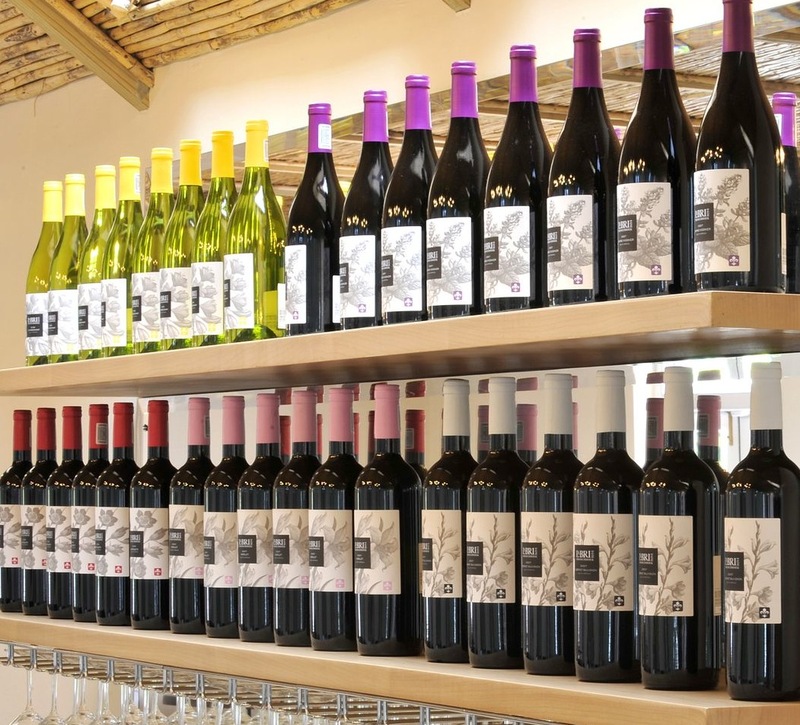 The La Bri wines are enchantingly labeled with indigenous flowers adorning the labels. On the Chardonnay label there is the Yellow Clivia, on the Viognier the Green Ixia, on the Affinity the Wine Cup or Kelkiewyn, and on the Merlot the March lily or Amyrillis Belladonna, one of the Cape’s autumn flowering lilies. The White Watsonia finds itself on the Cabernet Sauvignon label, and appropriately, herbs appear on the aromatic Syrah. A visit to La Bri, is a destination for a day. The tasting room that has the appearance of being in the loft of a barn offers a balcony with the most beautiful views over the vineyards. A cheeseboard of the sublime Dalewood Cheeses is on offer to entice one to stay. There are glass panels that give a view into the state of the art cellar. Add to this the delights of Franschhoek, it’s monument and Huguenot Museum and a drive to the top of the pass to get a complete view of the valley, it all makes for a perfect day.